Feeding time! 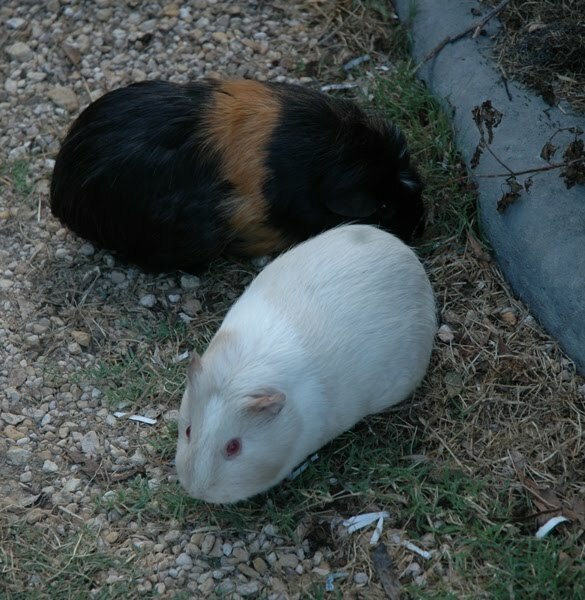 The g-pigs are doing much better since they have been left to roam the garden. They rarely even pass a 4 metre line, choosing instead to hang around their boxes and shelter. 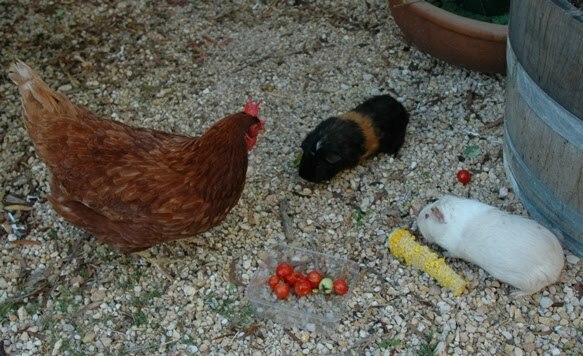 The chooks have developed a real appetite for the tomatoes, but not quite to the extreme as the g-pigs, particularly Jazz. 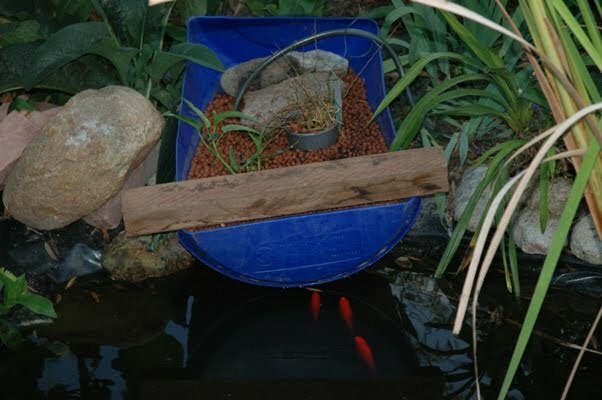 This is my current experiment with the pond water and running through a half barrel like an aquaponics set-up. So far seems to be working, but not really filtering the water that much – which I guess will take some time for the bacteria to establish themselves. In the meantime the water spinach and watercress are enjoying it. Despite the ‘removal’ of the lawn last year it has still managed to creep back and has done well for itself. The g-pigs relish the grass but not enough to keep it well back. Here is another frog much bigger than the other two in previous pictures. Quite content to sit and watch the world go by. 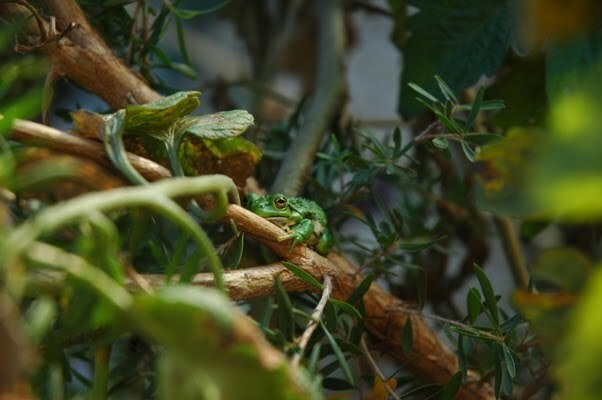 After removing the tomato bushes this little frog made his home on the strawberry and chilli plant in the lime barrel pot. Several nights later we had a light drizzle during the night and several of the frogs were calling. A really nice little chorus of calls. Nothing too loud and obtrusive, just pleasant little remarks about the cool of night and the current weather conditions.